Stainless stain containers are leak-proof and therefore the perfect lunch solution for packing yogurt, applesauce, crackers and more! Container is leak proof but unfortuantely started rusting after two uses. I love this container. Leak proof and keeps my toddlers snacks fresh. Would definitely recommend! Very impressed - the product really is leak proof. I filled mine with watermelon, and non of the juice leaked out - I will be buying more in different sizes! 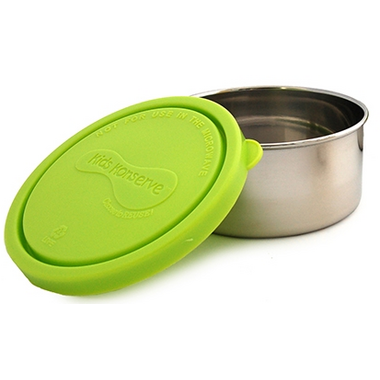 They're perfect for sending fruit salad or yoghurt in my kid's lunch boxes and they're completely leak proof! Fabulous containers! Great size and great fitting lids that are still easy for children to get on and off! Love these! Good size for my kids and they seal well. Great for yogurt, applesauce and fruit with some liquid. Love these containers, they seal so much better than most on the market. I love these for keeping snacks for my baby in. The lids seal well although I wouldn't trust with any liquid. Overall good product! Great for taking cereal to work. Love that it is leakproof and stainless steel. It's part of the kids' line but still great for adults especially for portion control.